I saw this on a walk around Madison about a month ago. 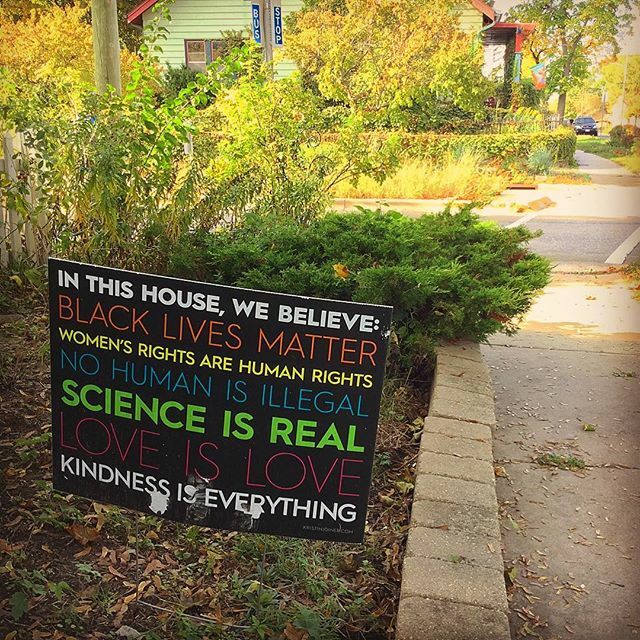 In fact, I saw multiple #KindnessIsEverything signs scattered throughout the neighborhood. No wonder Madison & I get along! Reminds me of a song we used to sing on the Big Island: "One heart, one love, let's get together & feel all right"
We are one people & more and more of us are starting to realize that.